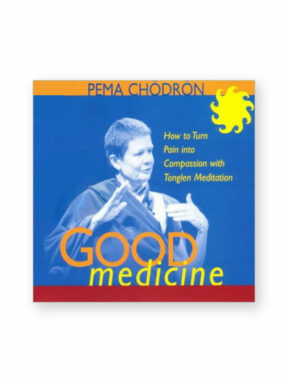 Happiness is your birthright and it is readily available at any given moment, teaches Pema. So, why do we live in such suffering? The potential for happiness is not based on outer things; they come and go, causing us misery, she begins. We’re always chasing after something, trying to avoid the difficult places. But there are a lot of small sweetnesses that we ignore because they’re so fleeting. On True Happiness, Pema Chodron guides you through simple-yet-effective practices that show you how to recognize and nurture these moments of delight, cultivating them until they become more and more frequent, accessible, and real as a constant influence in our lives. 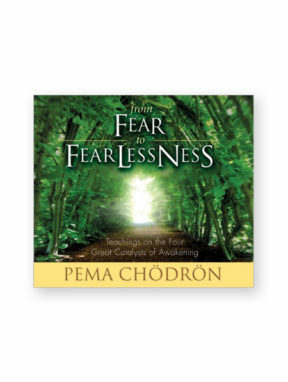 At the root of everything is basic goodness; a Buddhist view that each of us is fundamentally awake and compassionate, yet we tend to look at ourselves from a place of badness, explains Ani Pema. We spend our lives in self-doubt and confusion, attempting to be perfect and get it right. But life is about being open to whatever might arise, including feelings of uneasiness as well as feelings of contentment and peace. 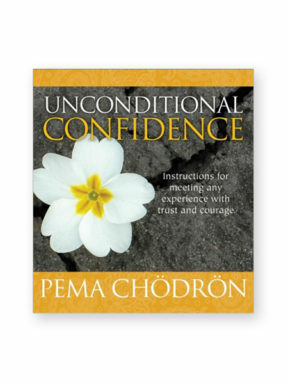 Rather than asking “How can I get out of this?” ask “How can I stay in this moment of discomfort and begin to soften?” It is in that moment of softening that you will find your open heart, teaches Pema. Everyone has the longing to feel the open heart, because it is a deep happiness that can never be taken away. 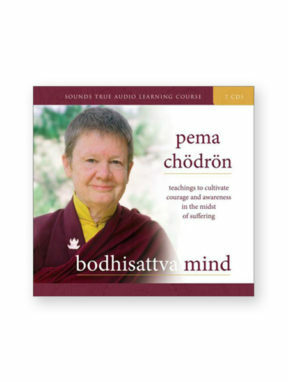 Recorded at Gampo Abbey Monastery in Nova Scotia, True Happiness gives you the opportunity to spend yarne or winter retreat with Pema Chodron in the warmth and comfort of your own home.